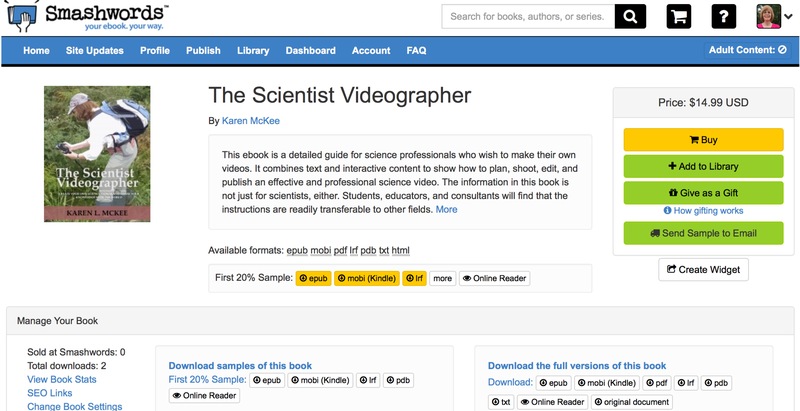 Since I’ve made free copies of my book, The Scientist Videographer, available at Smashwords, I’ve decided to also offer free copies of the original (interactive) version of my book, (readable on iPad, iPhone, & Mac) in exchange for a review. Here’s how to get yours: email me at thescientistvideographer@gmail.com and indicate that you would like to review my book in the iTunes Store. I will then send you the promo code, and you will be able to download the book for free. There is a limited number of these promos, and they are going fast. Don’t have an Apple device? Consider using this offer to gift my book to a colleague or student who has an iPad, iPhone, or Mac and who has expressed an interest in making videos. Well, mainly because I’m not looking to make money with it. My primary motivation in publishing the book was to encourage and promote better communication of science by science professionals. All of the information and tutorials (now numbering more than 100) I’ve created since 2012 are available for free. I wanted to make that information available in a more organized and focused way, so I pulled it together in this book. 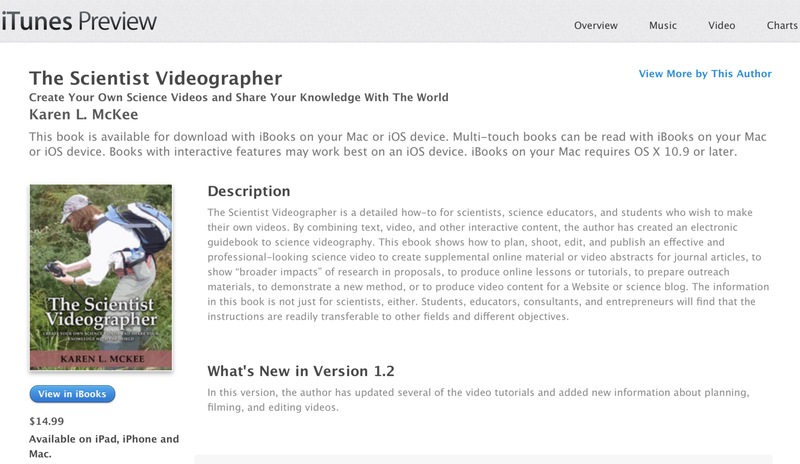 I self-published The Scientist Videographer via iBooks Author (which, by the way, is an awesome authoring platform). I’ve depended on word of mouth and social media to get the word out. Book reviews also are really important to encourage people to read my book and to try using video as a communication tool. If you are one of the many visitors to this blog (about 400 per day) who have benefitted from the information and free tutorials you found here or on my YouTube channel, please help me spread the word by writing a review and telling your colleagues and friends about my offer. 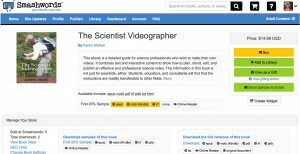 In addition to Apple’s iBooks and Amazon’s Kindle, I’ve just published a copy of The Scientist Videographer at Smashwords. At the latter, you have the option to download the book as an ePub, pdf, Mobi, or txt file or to read it online. For a limited time, I’m offering copies of the book at Smashwords free to anyone who agrees to review the book at any of the above distributors. All you have to do is send me a note that you agree (thescientistvideographer@gmail.com), and I will give you a promotional code to use when you check out. Already have a copy of my book? Consider writing a review and use the promotional code to give the book as a gift to a friend or colleague. This offer ends April 21, 2016. 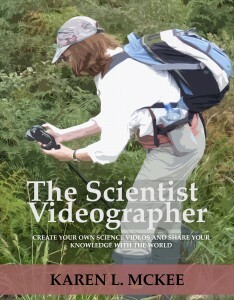 I’ve produced a text-only version of my book, The Scientist Videographer, which is now available at Amazon for Kindle. This Kindle version was created for those science professionals who do not have a device (iPad, iPhone, Mac) to read the iBooks version of my ebook. This new version has all the same information content as the iBooks version, but the interactive content (video, slideshows) is accessed through hyperlinks instead of being embedded in the book. If you have a PC, you can also download the Kindle Reader app and view the book on your computer. The link to that app is on the main page for the book. Both the iBooks and Kindle versions contain new information and updated tutorials. For example, the iMovie editing tutorials have all been updated to reflect the most recent version of that software. I’ve also added a section called, “Should I Get Permission to Film”. If you have the iBooks original version, just open it in your iBooks reader and select “update”. The updated version (Version 1.2) will automatically replace the original version (Version 1.0).